Now that you have a better idea of what to expect let’s talk about what can derail a typical home remodel. Sure, you may want your home project to be finished in three weeks, but is that realistic? Most remodels hit some kind of snag along the way. Sometimes these delays can send your schedule reeling, adding days — or even weeks — to your timeline. This can send an already stressed homeowner over the edge. 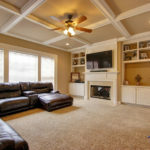 One of the biggest dangers contractors see when dealing with large-scale home remodel projects is unrealistic expectations. You might think it will only take a day or two to gut your old kitchen — until you run into a problem. Then that two-day demo can run into two weeks. When setting a timeline for your project, be sure to pad your schedule by at least 20% for dealing with unexpected challenges. You might think you know what you want your new kitchen to look like, but do you really? Having a broad idea isn’t good enough if you want your project to stay on track. Projects that are finished on time are almost always the ones that are thoroughly planned and thought out before work begins. Trying to make on-the-spot decisions causes delays — and headaches. In most cases, the pre-planning stage of a major remodel can take 1-3 months. This includes choosing your materials, obtaining building permits, scheduling inspections and hiring contractors and subcontractors. You might think getting a building permit will only take an hour. But, if you aren’t aware of specific building codes in your area, that process could turn into weeks. Also, waiting for inspections can severely stall a project, so see if it is possible to pre-schedule those inspections to keep the project moving along. Try to think about any obstacle that might get in your way. For instance, are you scheduling your renovations for winter? Consider the impact a bad snow storm could have on your project. Or maybe the weather cooperates, but your cabinets aren’t delivered on time. Give yourself — and your construction crew — plenty of leeway when it comes to certain aspects of the project — especially when dealing with special orders. Always have a backup plan and other projects that can be worked on while waiting for supplies, inspections, or anything else that may be causing delays. When it comes to home renovations, even the smallest change can cost you time and money. Keep your project on schedule by knowing exactly what you want and sticking to the plan. If you have a tight timeline and want to keep your renovations on schedule, avoid buying any special order or customized items. Any time you make a special order, you risk delays. 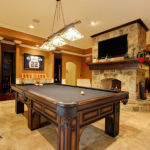 However, if you do want custom pieces for your remodel just be sure to order them well in advance. Every home remodeling project comes with its unique challenges. Doing it yourself may be enticing, giving you the chance to roll up your sleeves and get things done. 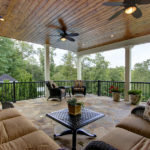 But, if you want to stay on schedule — and on budget — it is always best to trust your project to a professional who knows how to handle any issues that arise. The team at Quality Craftsman know how to manage even the largest construction project and are always willing to sit down and discuss your renovation dreams. Call today for a free consultation. Kitchen Cabinets: Should You Reface or Replace Yours? Read more Kitchen Cabinets: Should You Reface or Replace Yours? 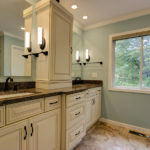 Quality Craftsmen helps you experience a quality home renovation or remodeling and delivers a superior, custom product on schedule and within your specified budget.